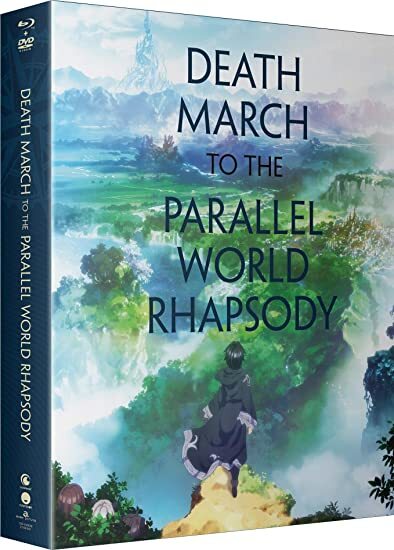 Death March to the Parallel World Rhapsody: The Complete Series - BUY THIS DVD! One night, after an exhausting 30-hour shift, everything changes for 29-year-old programmer Suzuki "Satou" Ichirou. Whereabouts unknown and nearly half the age he once was, Satou awakens in a mysterious land where videogame mechanics are his greatest strength. Game UI, endless inventory space, and the ability to become more skilled with the push of a button make navigating this expanse a breeze. However, just because he's level 310 doesn't mean everything will be easy. With demons terrorizing the populace, only Satou and his adorable companions can protect this new world while simultaneously reaping the rewards! THEN SEND IN A COMMENT ABOUT YOUR FAVORITE FUNIMATION TITLE (you may click on artwork above for a refresher) PLUS YOUR NAME AND ADDRESS TO contests@efilmcritic.com or WeLoveHBS@aol.com. (Just one e-mail please.) Put [b]"BETTER TITLE FOR THAT QUEEN MOVIE" in the subject line and cross your fingers. We will draw names and one of the prizes could be yours. Only 1 entry per household.